This month's Boost Your Photography: 52 Weeks Challenge is focusing in on the basic elements of composition: line, shape, form or volume, texture, and color. This week your challenge is to pay attention to the line or lines in your world, your compositions, and your photographs. 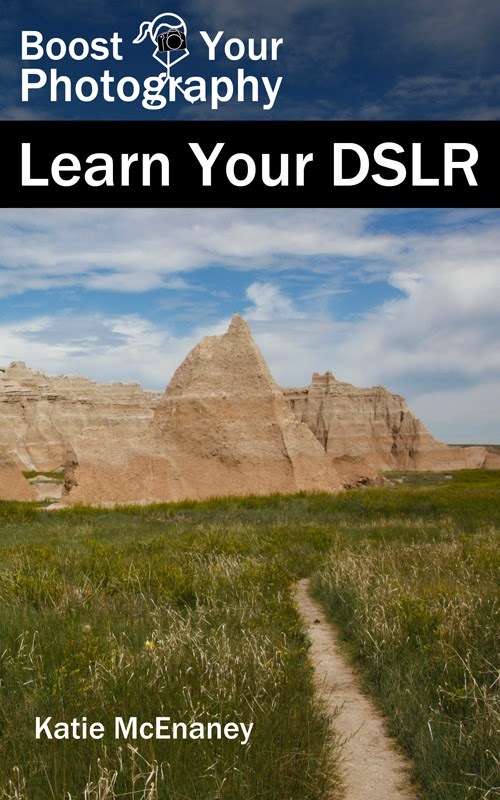 See how thinking about lines can help you grow in your photography. Mathematically-speaking, a line is a straight path between two points, but photographically-speaking, we are going to bend that definition a bit to also include curves. Lines appear in many different ways and circumstances in photography, both obvious and more obscure. Let's begin by thinking about different types of lines: horizontal, vertical, diagonal, and curves. Horizontal lines are quite common in the world and in photography, and one of the most common is the horizon itself. Depending on your location, the horizon may not appear as a simple horizontal line, as it is often broken up or hidden from view by trees, buildings, or other things. 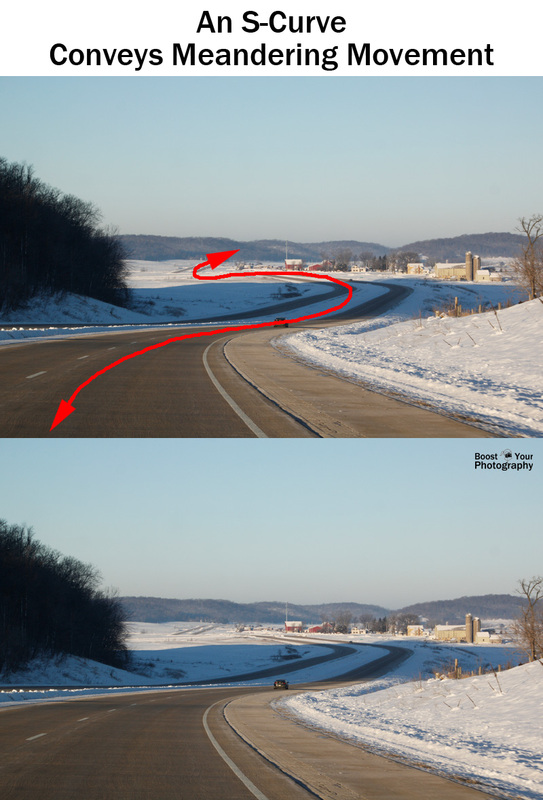 Even so, you need to take your horizon line into consideration when shooting (or be willing to fix it later during post-processing). In most circumstances, you want to be sure to keep your horizon line level. Level horizontal lines provide a feeling of stability and balance. Our eyes can detect even a few degrees of slant in a horizon, and this kind of photograph can give the viewer a sense of unease or feeling off-balance. If you deliberately want to use a tilted horizon in a photograph, a more dramatic tilt often works better than a subtle one. 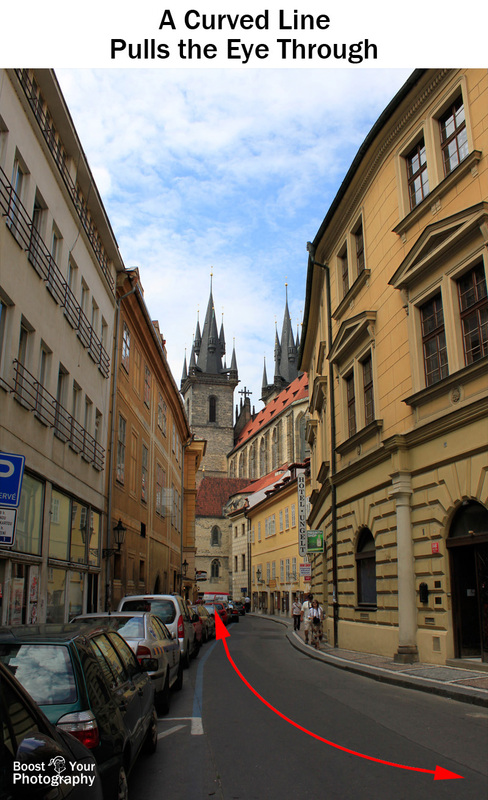 Buildings and other structures are another source of horizontal lines in photographs. 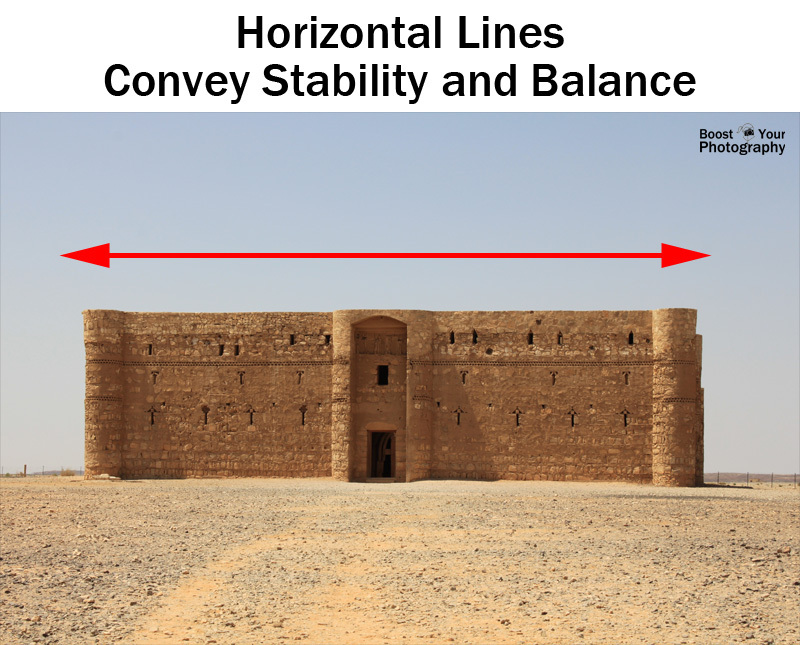 If you are shooting a building head-on, for example, you would expect the horizontal lines to remain straight and horizontal in your final image. 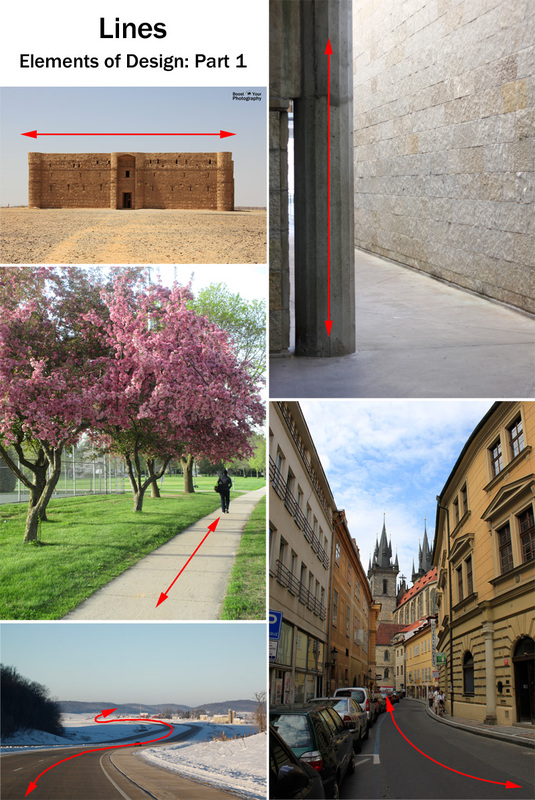 If you are shooting a building from an oblique angle, then you will start the notice the impact of perspective and the possibility of leading lines or a clear vanishing point in your image. You can read more about Leading Lines here. Vertical lines can convey growth, and they are often used to show power or prominence or a sense of scale and height. 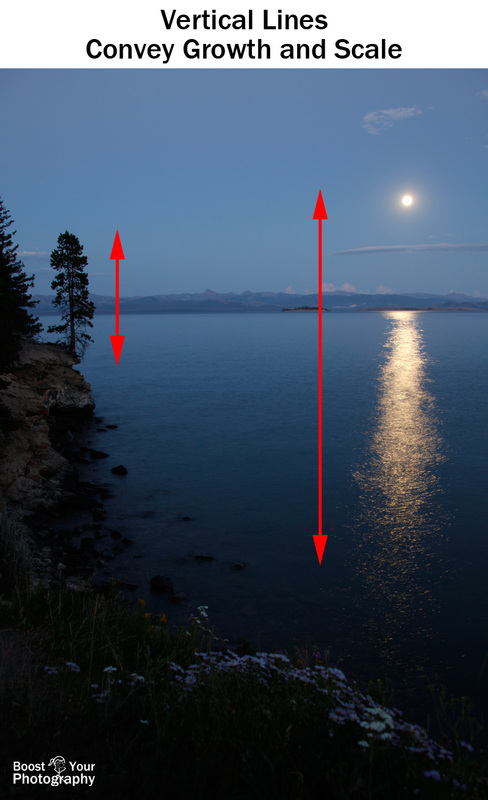 Vertical lines are often found naturally in trees or other tall plants or can be inferred in situations like the moon's light trail, below. 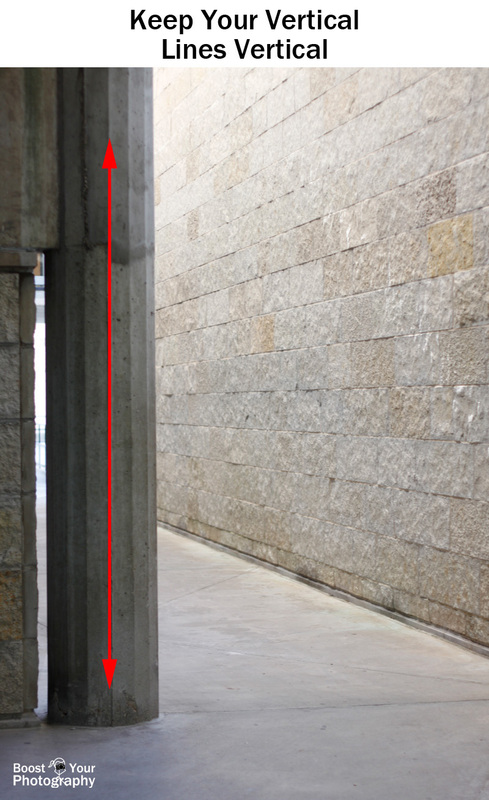 It can be very difficult to keep vertical lines vertical in your photographs. Perspective can lead to the appearance of converging verticals, and this is especially a problem if you are down low, looking up at your subject or up high, looking down. If you want to keep your vertical lines looking vertical, you need to shoot your subject head-on and from a farther distance away. Backing up and using a longer focal length on your lens will help keep your verticals looking straight. Read more about converging verticals in the article on Photographing Architecture: watch your lines. Diagonal lines are dynamic. They can convey a feeling of energy and movement. Diagonal lines are often used the lead the eye through the image. 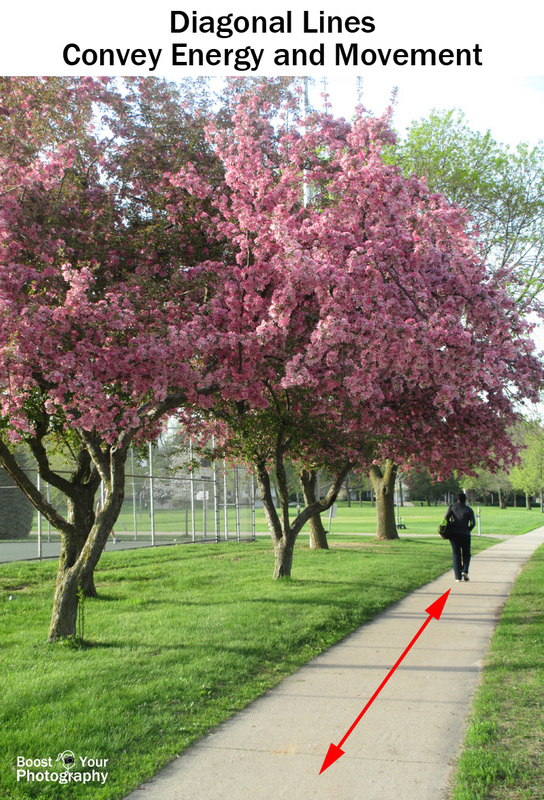 In this photograph, the diagonal placement of the path leads the viewer's eye through the image, directly to the location of the walking person. The person's movement is mimicked by this movement of the eye. Curves are technically not lines, but they fit this challenge due to their 2-dimensional nature. Curves are often found in nature and are pleasing to the eye. The s-curve is a particular type of curve, commonly found in meandering rivers or paths. Curves also lead the eye through an image, like diagonal lines, but their curved shape can convey more calm. How Will You Use the Line? As a fellow photography instructor once summarized, "You already knew all of this. 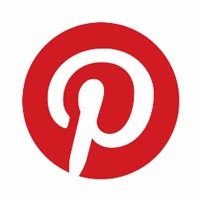 Now try to think of it consciously before you hit that little black button." Think about your line(s) this week. Are you seeking out straight horizontal lines? Do you want to use a vertical line or lines to send a message? How could you use a diagonal line to send a message? What could you do with a gentle curve? Share a link or a photograph in the comments below, or consider joining the BYP 52 Weeks Google+ Community to share your weekly photograph and see what others are capturing.